A study using data from the RAC’s Vehicle History Check service, covering more than 32,000 vehicles has shown that over half (52%) of the vehicles checked had a history that could be a potential problem for any purchaser. Some of these issues could be minor – like a registration change for example, but others were more serious – stolen, scrapped and outstanding finance were just some of the other problems found. Understanding what you’re buying has never been more relevant. Whether you’re looking to find your dream car, a classic from a bygone era, or something more practical, finding the right car can be time-consuming, and if there’s some emotional attachment to it, you’re much more likely to overlook the odd blemish, running fault or bald tyre. You may even view a vehicle history check as money for old rope; providing you know what you’re looking for, then it’s plain sailing, but not every problem is that obvious … 17.6% of the vehicles were still in the process of being paid off, so technically they weren’t the ‘owners’ vehicle to sell, a small percentage (0.1%) had been officially scrapped, some were even listed as stolen. By far the largest discrepancy was a change of registration – 27.5% of vehicles weren’t on the original registration, but for the main part, that doesn’t ring alarm bells – cherished registrations are commonplace now, so providing it has been correctly documented, then there shouldn’t be a problem. In theory, purchasing a car with hire-purchase, or PCP already registered against it is possible, some potential purchasers may even it see it as the finance company’s problem if their customer is selling the vehicle on, but the reality is that should they default on payment, the finance company could look to repossess the vehicle, regardless of whether it was purchased ‘in good faith’. Another expensive mistake could be purchasing a car that has been written-off by an insurance company, as 14.2% of the vehicle checks showed. There’s absolutely nothing wrong with that, providing you’re aware of the situation, but some unscrupulous sellers don’t declare it, and they may not have had to prove the roadworthiness or quality of the repair afterward. This could mean that you’re paying over the odds, for an un-roadworthy or potentially dangerous car. The importance of such vehicle checks cannot be overlooked; there have been numerous cases where a stolen vehicle was sold on to an unsuspecting or innocent third-party, and it’s only when they go to sell it on again does the identity of the vehicle and its history become apparent. In a case like that, the new owner would most likely lose the vehicle and any monies paid for it. If you’re looking to purchase a used vehicle, there are a number of ‘good practice’ measures that you can use to help identify any potential issues. With that said, these aren’t infallible, and for the checking services that offer a guarantee against such issues, you need to adhere to strict guidelines if you stand a chance of winning any money back. Turning detective will only get you so far – a good rummage through the accompanying documentation such as service history and MOT certificates can paint a pretty clear picture, as can a full mechanical inspection, but unless you truly know what you’re looking for, it may be worth having the inspection done by a professional. Check that the VIN number looks to be original and matches the documentation; factory numbers don’t get ‘mis-stamped’, are at an even depth and spacing and are located in places that any ‘accidental’ damage is difficult to explain. Check for unusually high wear patterns across the steering wheel, pedal rubbers and switches – pedal rubbers are easily replaced, steering wheels can be covered but switches are more difficult to disguise or replace. Look for abnormal wear patterns across all four tyres – this could be an indication of poor misalignment or a geometry problem. Remove the oil filler cap and look for white sludge – this could indicate a water/oil problem, although be aware that lots of short trips could also cause this. Look to see if the panel gaps are consistent – a misaligned panel may be an indicator to body work replacement or damage. If it’s a significant purchase, you may want to think about contacting the previous owner to see if they can add to the history, likewise, any dealer involved in the servicing of the vehicle will have full records of what was done and when (service history books can be faked very easily). 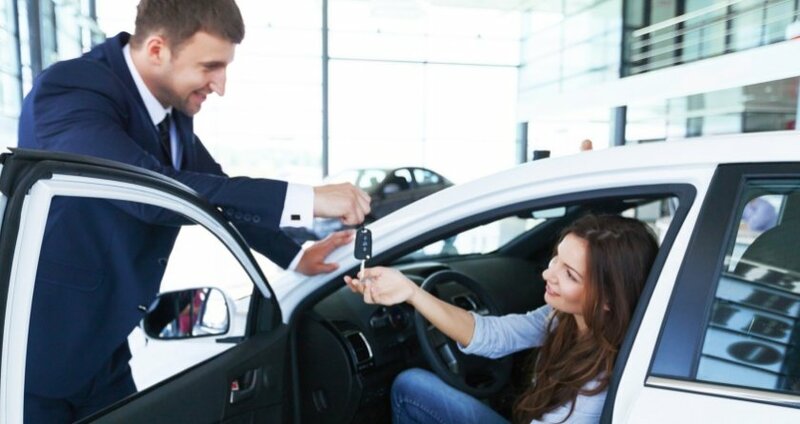 While these measures may not give you a definitive answer, they help to build up a bigger picture of the seller, their attitude toward the car, and how well it’s been looked after. This can be used in conjunction with your own judgement to help you decide if the car is ‘right’. Have you ever been caught out with a bad car purchase? Do you have any other buying tips to share? Let us know in the comments. Excellent site recently started up could help with these issues. There are a number of sites that do a HPI check. Well worth doing, you can get a very basic one that gives plenty of information free of charge, if you are still interested in buying then pay for a more indepth one. I recently went to purchase a vehicle but found out the mileage was double the advertiswd 65,000, time to walk away. http://www.vcheck.uk does more than just an HPI check. Amongst other things, it has a massive database of photos showing major damage to repaired cars being sold as having had a “slight scratch” . It’s really scary what some crooks are selling actually. Some things are well hidden. I bought an ex Police LDV van from a reputable garage. Low mileage, in excellent condition and it had only been used as a community van. Two years later the head gasket went – fair enough, these things do happen. When my garage started the repair they found that this had obviously happened before as the cylinder head had been skimmed. They managed to repair it but it was never the same again. It was fixed and done properly incl a head skimmed what more could they do. Give a lifetime gtee on the repair. You had 2 years out of it, If it was done badly , the original repair it would have gone soon after you bought it. I think the issue here is it’s unlikely that you would have a skimmed head on a low mileage vehicle (although possible if the driver ignored all signs of overheating). It’s also unlikely that police forces ever sell low mileage vehicles, they are normally high mileage but well maintained. Tarbet, where are you based at with your motorhome? So many scare tactics these days, I know a few of my friends have been conned when buying a second hand car, they also used a check list and used HPI checks. I would strongly recommend an independent vehicle check by a professional person, many local independent insurance accessors would carry out a vehicle check for you. My old man always buys ex demo car, gets a “new” car cheaper and not really had a banger. He always says your buying someone else trouble when you buy second hand, why are they selling it? If they appear to have more money than brain power your probably ok because they just want a new car. If like me they look skint walk away, specially if it was an expensive car new an has 3 quid a corner tyres on it they can’t afford to run it. I have owned many secondhand cars over the past fifty odd years, the most trouble free car was a MK2 Vauxhall Caviller 1.8i hatchback, fast and economical. The worst was the Hillman Imp, they should gone straight from the factory to the scrap yard. Fallowed by the two Peugeot 405 estates my wife and one each. The last car I purchased was a brand new Skoda Superb estate, not a single fault after four years from new.